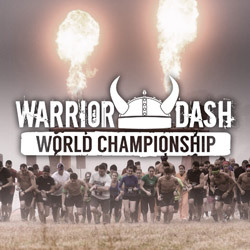 Warrior Dash World Championships is headed to Milky Way Farm in Pulaski, Tennessee this weekend. Athletes from around North America will converge on this farm to see who is the fastest Warrior Dasher. This year Warrior Dash extended the course from the typical 5k distance to 3.7 -miles this year. The course will feature 12 obstacles common to Warrior Dash athletes.